The first batch of these posts that I did at the very end of 2013 I called “No Hendrix, No Clapton, No Vai”, and not because I dislike those players. It’s impossible to have any feel for rock’n’roll music and dislike Jimi Hendrix. I’m not a shred fan, but I can appreciate Steve Vai’s chops and dedication to his craft, and I genuinely loved No More Amsterdam, his 2012 co-write/duet with Aimee Mann. God, even some Clapton is OK, too, though don’t get me started on his politics. We’ll be here all night and I’ll lose all my good humour. The point of doing these, then, has been to talk in brief about some tracks I might have struggled to discuss at length in a conventional post, but also to pick out some less heralded players along the way. Sure, J Mascis and David Lindley aren’t unknowns, and Robbie Robertson is a bona-fide legend, but they’re all at least a step down in renown from Clapton and Hendrix, who simply are rock guitar for many people, or Vai, who stands for the 1980s shredders (a school of metal-ish guitarists whose extreme technical proficiency was their key selling point for many of their fans, and who are still high-profile players in guitar geek circles). Not every great solo proclaims its greatness by being the centrepiece of a classic song, or by lasting for minutes on end, or by being the work of a celebrated player. Today’s choice is indicative of this. The dominant instrument on my favourite Jayhawks album, Tomorrow the Green Grass, is not Gary Louris’s guitar, but Karen Grotberg’s underrated country-soul piano. The band always sounded more expansive with her on board, and her harmonies sweetened the pinched and nasal vocal blend of Gary Louris and Marc Olsen. All in all, she’s the easily overlooked Jayhawks MVP, like a great defensive lineman. Nevertheless, Louris remained a powerful presence as lead guitarist. 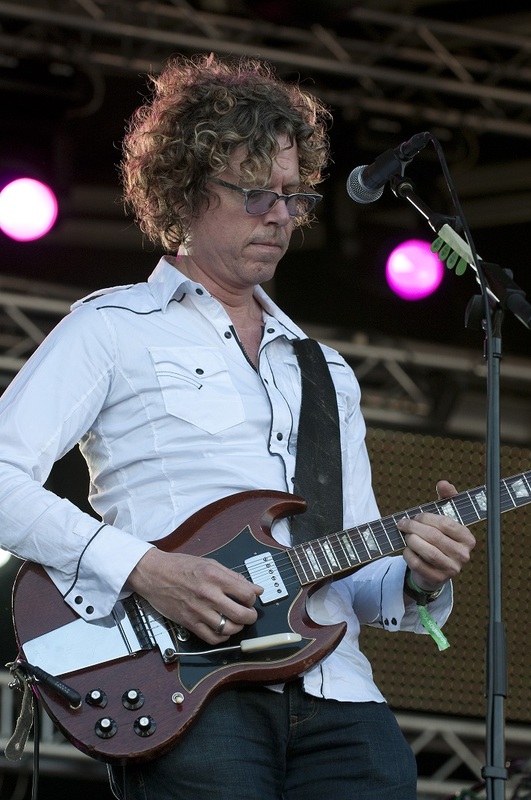 Louris’s playing is ultimately blues derived – most of the licks he plays, Chuck Berry played first – but the Jayhawks have always drawn strength and vigour from Louris’s lead guitar interjections. They add uncomplicated vigour, a swagger even, to a group who’ve rarely strayed all that far from medium-intensity mid-tempo country-rock. His solo on I’d Run Away is a perfectly constructed little gem with the full range of Louris tricks: an ear-grabbing opening lick that sees him making use of the Vibrola arm on his SG for a strong vibrato, some melodic double-stop licks and a bit of old-fashioned bluesy pentatonic wailing of the type that’s been the backbone of rock guitar since Mr Berry, I guess. It’s the highlight of a song that in typical Jayhawks fashion mixes breezy music with doleful lyrics. This entry was posted in Music and tagged Aimee Mann, Chuck Berry, country-soul, double stops, Eric Clapton, favourite solos, Gary Louris, Gibson SG, great solos, guitar solos, Jimi Hendrix, Karen Grotberg, lead guitar, Marc Olsen, no clapton, no hendrix, No More Amsterdam, no vai, phrasing, piano, Steve Vai, string bending, the Jayhawks, Tomorrow the Green Grass, tremolo arm, vibrato, Vibrola on March 4, 2015 by rossjpalmer. I’ve logged hundreds of hours listening to the Band’s music. How many times have I listened to The Band and Northern Lights, Southern Cross? 50, 80, 100 times each? If you add in the number of times I’ve listened to the 1966 Dylan/Hawks set from Manchester Free Trade Hall, I may have as many as 500 hours or so on just this one group. I know the Band’s music well, I know Robertson’s playing well. I still have no idea what Dylan was driving at. Playing with Dylan, Robertson’s solos were apt to be scrappy and messy. He bit hard into notes, and played without much vibrato. If he played one note and held it, you wouldn’t think, Ah, yes, the tone and control of a natural lead guitar player, as you would with, say, David Gilmour. Robertson’s attack, the lack of refinement, was the whole point. As Barney Hoskyns noted in Across the Great Divide, there has always been something of the enthusiastic amateur in Robertson’s playing. The step change in his style occurred during the recording of The Basement Tapes. Partly because he’d played enough solos to last him a lifetime and partly because of the discipline enforced on the group by recording to a cheap mono tape machine at low volume in a clangy basement, Robertson emerged a different player. His new style was sensitive, tasteful, based on a deep feel for the song and an understanding of how and where one should play to complement, but not compete with, the singer. It is this version of Robertson that is a guitar genius. A key text for me has always been To Kingdom Come. 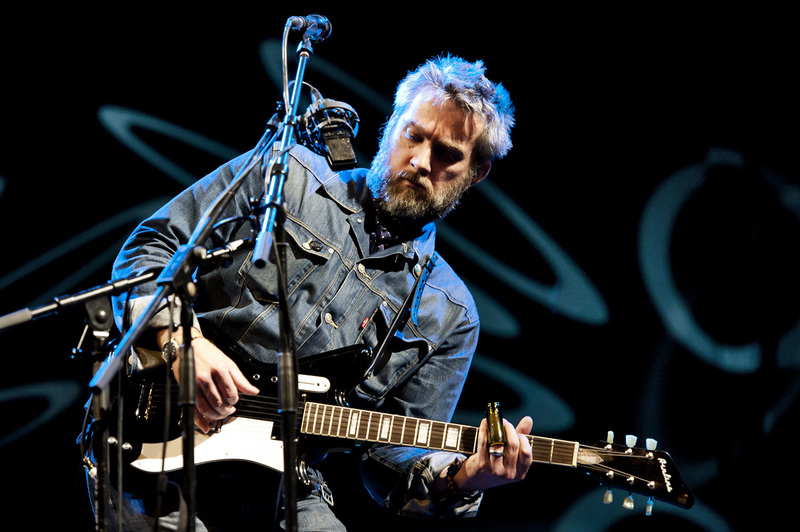 The second track on the Band’s debut, Music from Big Pink, contained the only Robertson lead vocal (until Islands‘ Knocking Lost John) in the Band’s catalogue and the only extended lead guitar break on the whole of the first album. As such, it debuted all the facets of his new style: a superlative tone, a mastery of structure and repetition, a much more prominent vibrato, and a string bending technique that begins to anticipate the great Jerry Donahue (who widened the folk and country guitar player’s vocabulary immeasurably with his arsenal of contrary-motion bends and double-stop bends that go up by different intervals). Most evident, though, is the soulful influence of Curtis Mayfield, audible in the R&B/gospel licks that Robertson was now interweaving with his bandmates’ vocals. 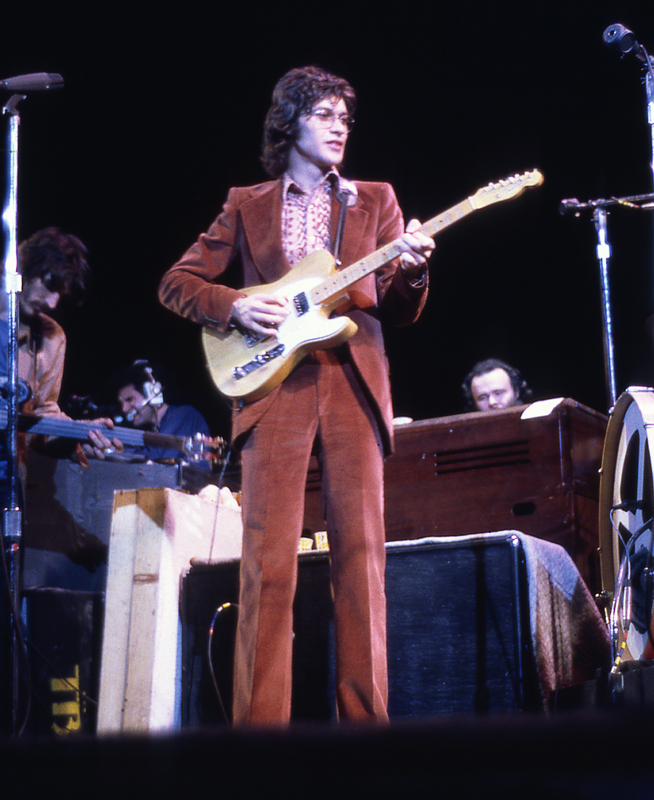 He retained enough bite that you still knew it was him, but what was gone, at least from his recorded work, was the frantic quality that his playing had in the early years. Leaving this behind, he truly became the mathematical guitar genius Dylan had praised so highly a couple of years before. This entry was posted in Music and tagged Across the Great Divide, Barney Hoskyns, Bob Dylan, contrary-motion bends, Curtis Mayfield, David Gilmour, double-stop bend, Electric Ladyland, Five Best Guitar Solos, Five Favourite Guitar Solos, Islands, Jerry Donahue, Jimi Hendrix, Knocking Lost John, Little Wing, Live at the Manchester Free Trade Hall, Live at the Royal Albert Hall, Music From Big Pink, no clapton, no hendrix, no vai, phrasing, repetition, Robbie Robertson, still no clapton, string bending, structure, The Band, The Basement Tapes, the Hawks, To Kingdom Come, tpne, vibrato on February 21, 2015 by rossjpalmer. When I was 15 or so, my three touchstone guitarists were Jonny Greenwood, Joey Santiago and J Mascis. All three were respected lead guitar players, but they made their reps by employing cool textures and melodies rather than a constant stream of slurred sextuplets. All three made a lot of noise a lot of the time – bound to appeal to any 15-year-old grunge fan – but all of them could turn out a tune, too. And none of them played a pointy guitar. This was – remains – important stuff. I can’t think of any guitarist I really admire (possible exception: Page Hamilton from Helmet) who plays/played a superstrat. They’re just not cool. 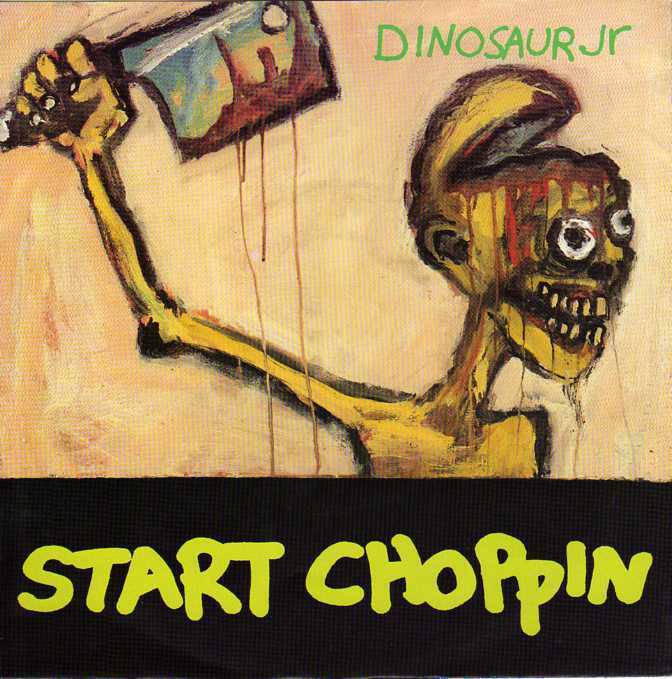 Mascis’s first solo on Dinosaur Jr’s 1993 single Start Choppin’ remains my absolute favourite of his. I’ve memorised every second of both of the song’s solos, but the first one is the real classic, the one that shows the full range of techniques at his disposal: messy oblique bends and vibrato unit abuse (the guy played a Jazzmaster, remember – the vibrato unit on a JM is only for the brave or the foolish), but also a great ear for melody, an instinct for phrasing and the ability to speed up and down the fretboard if the mood took him. He starts off, in typical Mascis style, with ear-grabbing noise: an old Chuck Berry-style lick turned into something huge and nasty by the addition of an enormous bucket of gunky fuzz. It isn’t until you think his solo is going to collapse in on itself entirely and take the song with it that he pulls out the fancy stuff. That short passage after the rhythm guitar switches back to the main riff and the drummer switches to 16ths on the hats is masterly, and shows that Mascis has it in him to compete with the real technicians if he wants to; it’s just that he rarely does. 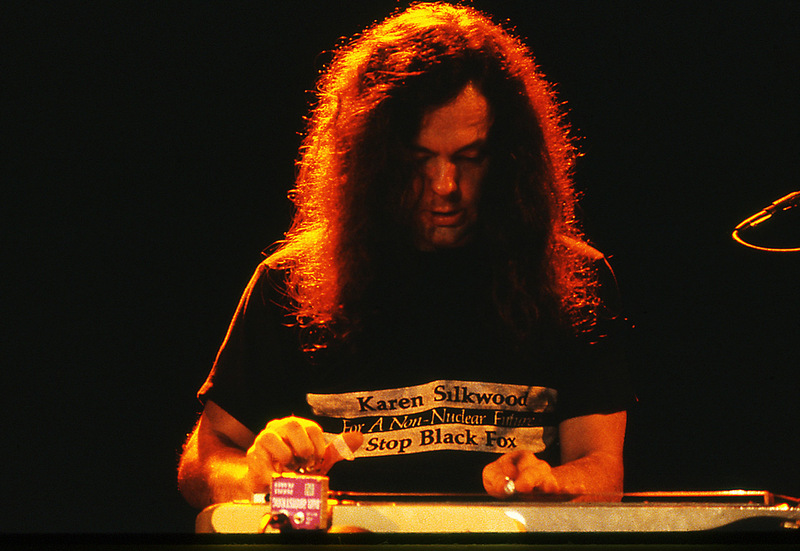 He has a style: Neil Young, plus distortion pedals, plus dexterity. This is why the guy is still high profile enough for Fender to release not one but two guitars bearing his signature, a full 22 years after his band’s commercial heyday. This entry was posted in Music and tagged 16th notes, alternative rock, Dinosaur Jr, dinosaur kr, distortion pedals, Fender Jazzmaster, Five Best Guitar Solos, Five Favourite Guitar Solos, fuzz, grunge, guitar hero, guitar solos, J Mascis, Joey Santiago, Jonny Greenwood, no clapton, no hendrix, no vai, oblique bends, pointy guitars, sextuplets, start choppin', still no clapton, superstrats, tremolo, vibrato, vibrato arm, whammy bar, Where You Been on February 18, 2015 by rossjpalmer.